Glyphosate based herbicides like Roundup are commonly used to kill all grass and weeds when doing a full lawn renovation or to kill unwanted weeds and plants in garden beds. Glyphosate has generally been considered safe. When it comes in contact with soil it becomes inert but there have been concerns over it's use including this most recent one. It's definitely not a product that is allowed in use for organic gardening or organic lawn care. 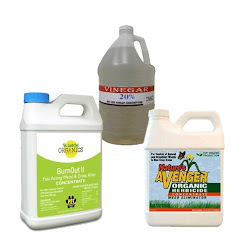 If you are opposed to using Roundup in your lawn or garden there are some alternatives to Roundup that are approved for use in organic farming. If used correctly they can kill your lawn and weeds in preparation for reseeding. 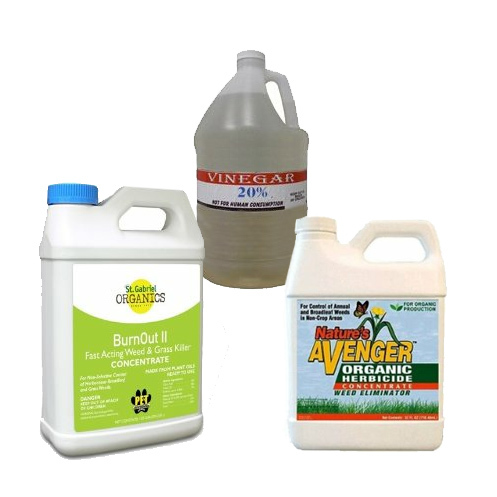 Acetic acid is the main component of vinegar and can be used to kill grass and weeds. 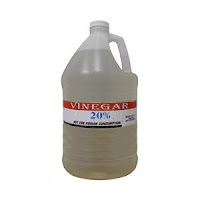 I've successfully been using plain old distilled white vinegar to kill weeds in beds and driveway cracks for years. Horticultural vinegar has a 20% concentration of acetic acid, compared to about 5% for grocery store vinegar. It is more effective especially over a larger area such as a lawn. 20% vinegar is also approved for organic farming. It's best to apply on the foliage of unwanted plants during a warm, sunny day. The way acetic acid works is it breaks down the cell membranes causing desiccation of the the plants. The heat and sunlight increase the rate of desiccation. The plants will typically die in a few hours. The acid in the horticultural vinegar will not greatly affect the pH of your soil but follow appropriate guidelines when applying as acetic acid in this high a concentration can burn skin and cause severe eye injury. 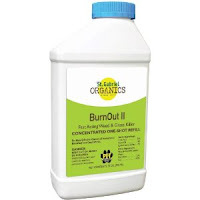 BurnOut II Weed & Grass Killer is a commercially available product made of a high concentration of citric acid and clove oil. It is an OMRI approved organic weed killer. BurnOut II kills grass and broadleaf weeds. Just like horticultural vinegar it is best to apply it on a warm, sunny day to get the quickest results and follow the manufacturer's safety recommendations. 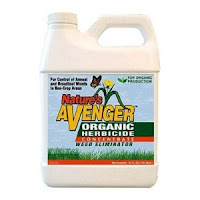 Nature's Avenger Weed and Grass Killer is another commercially available non-selective herbicide that is OMRI certified and approved For Organic Gardening use. It is another citric acid based solution that when applied to plants causes them to dehydrate and die. To improve the performance of the product it should be applied on a warm, sunny day. Glyphosate (Roundup) is a systemic plant killer. It gets absorbed by the plant's foliage kills the plant from leaf to root. The organic herbicide alternatives I've mentioned above are only defoliants. They will cause the green part of the plant to die but the roots will still be there and some of the grass and weeds you sprayed can come back. It's important to reapply the product 7 days after the first spraying so that any new growth that has emerged can be killed after the roots have spent their stored energy. A couple of days later you can plant your new grass seed.